Young Farid is held captive, snatched from his simple life as a fruit seller in the market. But he can see the pattern markings. Unsure what that means, Farid can only wait and see if those who hold him will force him to use the pattern, and what will come of it if they do. In the palace Nessaket is injured, a shadow of her former self, and Empress Mesema is stifled by the pampered life she has been brought to. But Daveed, Sarmin’s brother, is missing, and Mesema will not sit back any longer. She calls for a veil and servants’ clothing. It is time for her to break the rules and leave the palace; she is determined to help her husband save the people. The Tower Broken is the conclusion to Williams’ trilogy and finally reveals the pattern and its mysteries in full. 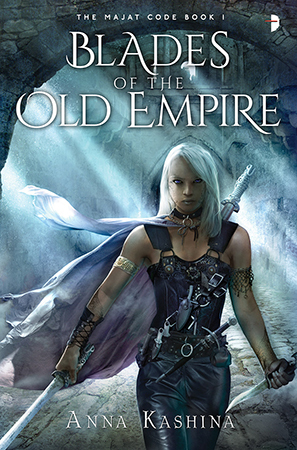 Sarmin remains a point of view character in this instalment and Mesema is restored to her place as a principal character in the narrative, although her step into the background in book two has had an impact on the reader’s connection with her; she does not feel as powerful nor as captivating a heroine in this book as she did in book one. 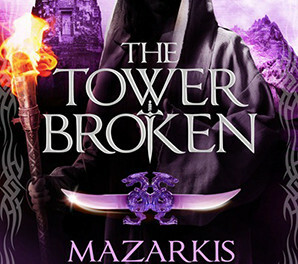 Whilst The Tower Broken concludes the story in a satisfying manner, with so much of the narrative focused around the pattern – a magic system that is difficult to envisage and understand for the characters and, therefore, for the reader – it does not feel as solid a story nor as easy to follow as the previous books in the series. The intricacies of the pattern and the time spent in trying to comprehend and visualise it detract slightly from the story and its characters. It is the characters that remain the strength in this series. Throughout, despite the change from book to book as to who takes on point of view roles and carries the bulk of the narrative in each, they have retained their individual voices and motivations, their depth and complexity. 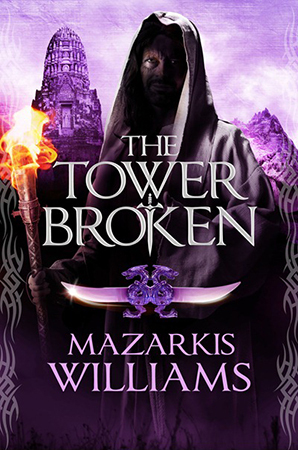 Whilst some readers will find issue with the differing tones and principal characters from one book to the next, the Tower and Knife trilogy is undeniably a strong and alluring series and worth reading in its entirety. Can one submit a fantasy novel for review?